We had a VERY successful National Signing Day, signing 5 of our original 8 freshman! That was more than any other school in the district!! (Clarksville overall signed 4). 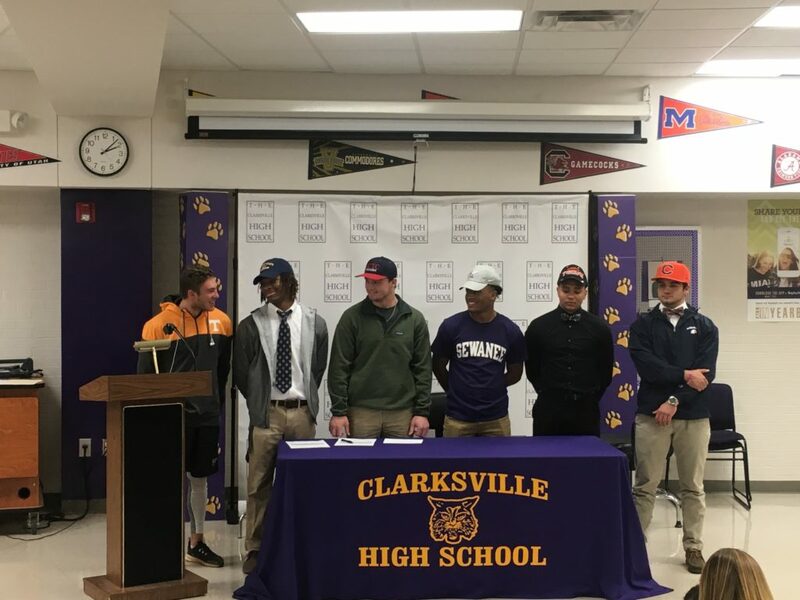 Huge accomplishment for these Wildcats and the city of Clarksville! Use the Google Calendar to see when Junior Days are scheduled, Exposure Camps are scheduled, and more to get ready for 2018! © 2014 Clarksville High School | Use of any imagery without school consent is prohibited.